GPI Female Player of The Year showcases poker talent in historic cash game duel. Cool story bro… Mike Dentale finishes second. Poker Night in America looks ahead to Choctaw Cash Game, April 21-24. This past Sunday March 19th, GPI Female Poker Player of The Year Cate Hall defeated cash game player and Twitter rival Mike Dentale for three stacks of high society in a heads-up contest televised live by Poker Night in America from the Sugarhouse Casino in Philadelphia. The showdown capped off one of the most talked-about poker cash game broadcasts since 2011 as Upswing Poker featured pro Doug Polk and a slew of other elite personalities gave poker enthusiasts an entire weekend of engaging, real money action. With more than ten thousand fans tuning in last week, former World of Warcraft gamer Cate Hall earned $30,000 of Mike Dentale’s money, the respect of poker purists, and a great deal of satisfaction in her heads-up victory. To paraphrase the 2015 WPT Bellagio Five Diamond final table participant and former competitive chess player, poker is a game that rewards mental ability and prowess, providing an even playing field for both men and women alike to battle for superiority; a view that resonates amazingly well in hindsight of Hall’s Sunday night lockdown of Dentale. Cate Hall’s rise in the poker world has been well documented since taking home close to $300,000 USD at the WPT Five Diamond in Las Vegas. Her multiple appearances on the Poker Life Podcast with Joey Ingram expose viewers to the demanding social media spotlight that rising stars in any industry have suddenly found themselves in. Upon accepting the American Poker Awards trophy for Female Player of The Year this past February, Hall (who grew up near Tombstone, Arizona) impressed the “poker strategy” crowd by pointing out how her goal is not to be ingratiated, but to compete against the dozens of other pros who are currently ranked ahead of her according to a controversial yet gender-impartial Global Poker Index formula. And in spite of a friendly deck that strategy experts agree ran in Hall’s favor a week ago, the contest did result in a clear distinction of skill between the two. On March 19th, 2017 at the Sugarhouse Casino in Pennsylvania USA, Cate Hall established herself as a genuine poker talent whose skill-based efforts are deserving of recognition. A sense of accomplishment permeated the set as an unnecessary case king formalized Hall’s feat. Yes. The victory meant something to her! True to his word, Mike Dentale has taken one of the chin for the game of poker and been begrudgingly humble after losing a match which most certainly mattered to him, too. Mike did his very best and oozed heartfelt loyalty towards gambling aficionados who placed private wagers in his favor during Sunday night’s show. With a complete weekend performance in tow, the Red Bull binge drinker has played a key role in boosting exposure for captivating, buzz-worthy, real money live poker cash game action throughout North America that is quickly connecting with a remarkably engaged audience. “There’s justice in poker and you played wonderful,” the independent businessman proclaimed before receiving a round of applause from fellow Sugarhouse patrons and heading over to the makeshift cupboard booth to get feedback from expert commentators Doug Polk and Shaun Deeb. Dentale argued that the cards did not cooperate reasonably well enough for him to play his ‘A’ Game — an insight which the WSOP bracelet winners immediately and repeatedly challenged while also vouching for the lack of competitive card runouts in the match. Unfortunately the wrap-up interview with Mike had audio issues, so Doug took it upon himself to record an inaugural podcast segment with Dentale on March 23rd. Doug’s subsequent interview with Cate Hall will be embedded in the winner’s section of this article once it has been made available. The Poker Night in America crew arrives in Durant, Oklahoma for an extended weekend of poker cash game entertainment next month that will afford the entire talent roster an opportunity to expand upon the innovative programming provided to both serious and casual fans so far in 2017. If you plan on being in the greater Southeastern Oklahoma area next month and would like to attend the live taping, please consult the official Choctaw Casino Resort webpage for reservations, gambling options and other pertinent information. The PNiA cast will be on hand and may schedule specific times to personally welcome fans who will be dropping by, so be sure to subscribe to or follow your favorite PNiA players for more details! 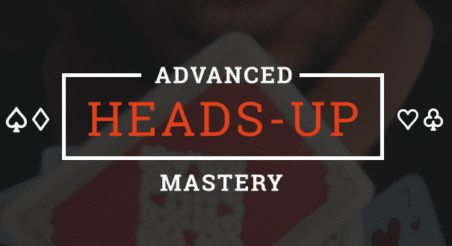 Author’s Note: Ready to improve your poker skills and realize your potential at the tables? Check out our Upswing Lab Testimonials Page or click on the image below for pricing info.